68, Dr.Nanjappa Road, Coimbatore - 641 018. M/s. N. MAHALINGAM & COMPANY is a partnership firm, was established in the year 1954 by opening a Petrol Pump outlet in jail road, Coimbatore. There after the company has grown by diversifying in other business activities such as Dealership in Automobile, Consumer products & Electronics Division, Indane LPG Distributors. 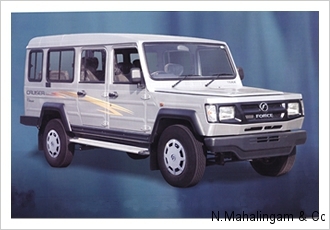 In the Automobile Sector, our company has taken the Dealership of Force Motors and MAN Trucks. 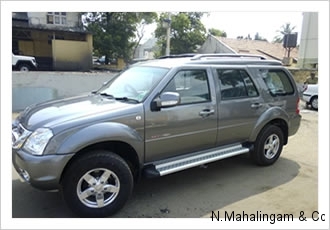 In the Consumer Products Division, our company has taken multi brand dealership of major brands. Also a part of Green Energy, our company has installed windmills for power generation. Mr.A.Shanmugasundaram took the responsibility as “Managing Partner” in the year 1974 and the infrastructure of the company was strengthened year after year and consequently the business had witnessed continuous growth. Now the company’s responsibilities are being shared by his sons Mr.S.Chandrasekhar and Mr.S.Senthil Saravanan as a working partners. 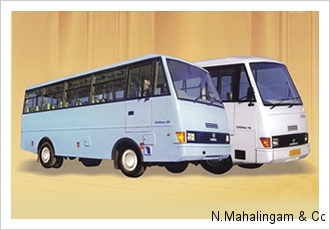 In 1969 the company started in taking FORCE Motors dealership of selling Trump (SCV’s), Tempo Trax (MUV’s), Tempo Traveller & City line buses (LCV’s) and Balwan Tractors. The company has been awarded the BEST DEALERSHIP AWARD for best performance. History of MAN Truck & Bus in India began in the year 1958 with supply of the legendary SHAKTIMAN trucks to the Defence Ministry of India. 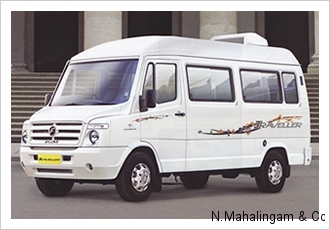 However, MAN Trucks India started operations in India in 2006 as a joint venture. 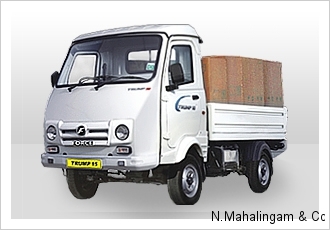 Eventually with the takeover of the joint venture, MAN Trucks India Pvt. Ltd became a wholly owned subsidiary of MAN Truck & Bus AG in 2012. M/s. 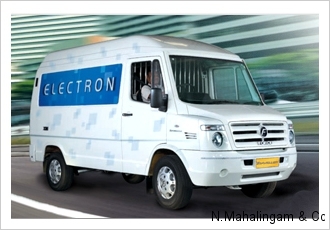 N. Mahalingam & Company is a partnership firm, was established by our Chairman Arutchelvar Dr. N. Mahalingam in the year of 1954 by operating Petrol Pumps at Coimbatore, Pollachi and Udumalpet to provide a thrust for promotion of Service Sector. Copyrights © 2016 | N.Mahalingam & Co., | Design : vSocialize Solutions Private Limited.